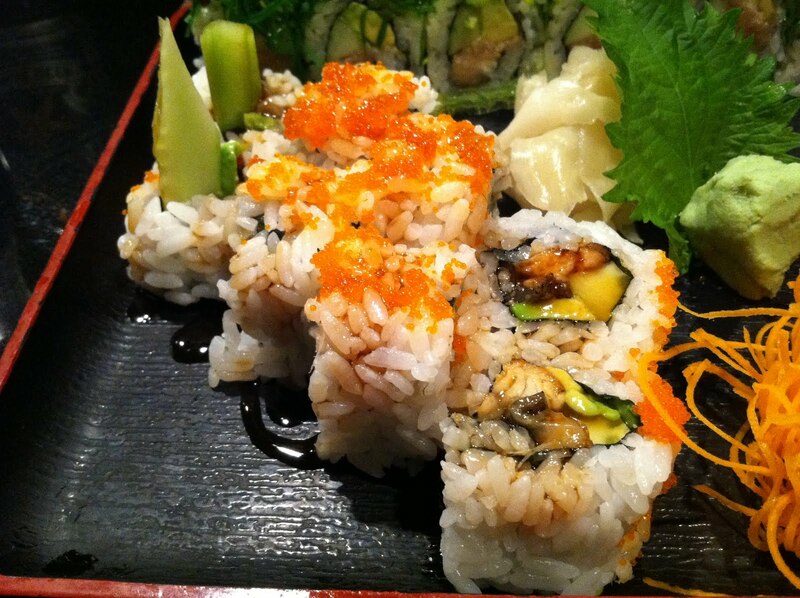 Sushi roll with bbq eel, avocado, and topped with tobiko and unagi sauce. 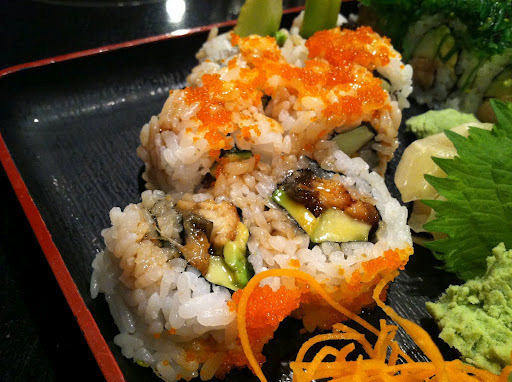 Like most people, when I first started eating sushi I tended to stick with the rolls containing cooked items like rock ‘n rolls and California rolls because they were easier to stomach than the crazy, raw nigiri or sashimi (it doesn’t even have rice!). And I continue to say, “There’s nothing wrong with that.” I still enjoy ordering rock ‘n rolls because I simply love unagi! I also order unagi nigiri because bbq eel is delicious and the unagi sauce is an added bonus. I’ve since become more adventurous in sushi land – ordering more and more raw items, but I still take comfort and enjoy my inauthentic rolls. A word of advice: Nobody likes a sushi snob! This entry was posted in Crazy Sushi, Restaurant and tagged avocado, eel, Japanese, sushi, tobiko by vicentesf. Bookmark the permalink.